LOCATION*LOCATION*LOCATED IN DESIRABLE GREENFIELD, THIS BEAUTIFUL HOME IS ON .32 ACRES w/ PARKLIKE YARD! UPDATED KITCHEN W/TILE BACKSPLASH*GRANITE COUNTERTOPS*STAINLESS APPLIANCES THAT'S OPEN TO AN EATING AREA & THE FAMILY ROOM! FAM. RM HAS SOARING CEILINGS & A COZY FIREPLACE TO CURL UP IN FRONT OF AS YOU WATCH TV OR READ! FAB OPEN FLOOR PLAN W/ LIVING & DINING ROOMS OPEN TO ONE ANOTHER. GLEAMING WOOD FLOORS. MAIN FLOOR OFFICE, POWDER & LAUNDRY ROOM ON MAIN! UPSTAIRS THE MASTER SUITE IS CALLING TO YOU! 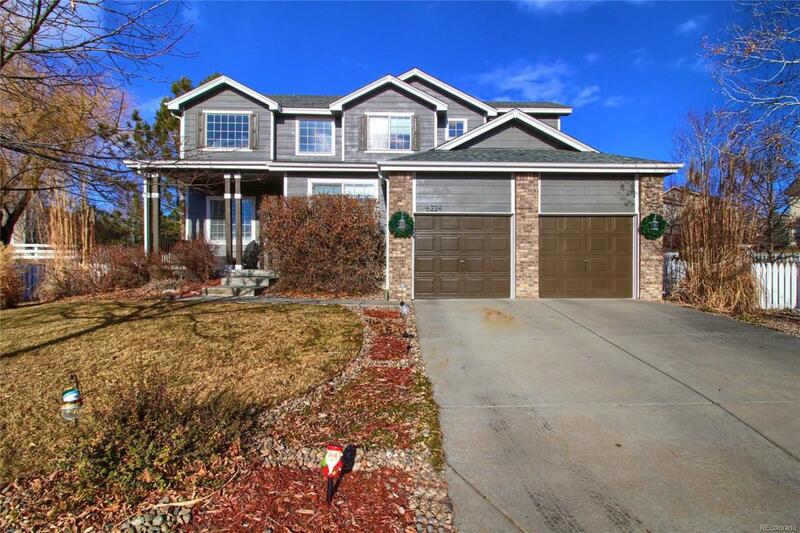 VAULTED CEILINGS & EN SUITE 5 PIECE BATH W/GRANITE COUNTERTOPS, WALK IN CLOSET! 2 SECONDARY BEDROOMS- 1 W/BUILT IN WINDOW SEAT- PERFECT SPOT TO READ & PLAY! A 2 RM JACK & JILL BATH BETWEEN THE 2 BEDROOMS! THE FINISHED BASEMENT HAS A MEDIA AREA, A PLAYROOM AREA & LOTS OF STORAGE CLOSETS! THE 3/4 UPDATED BATH IS BEAUTIFUL & BEHIND THE MIRROR IS ACCESS TO THE CRAWL SPACE w/ BARRIER! THE YARD IS AMAZINGHUGE DECK & BACKYARD FOR ENTERTAINING & PLAYING! YOU CAN'T TO MISS THIS HOME! SEE IT NOW!